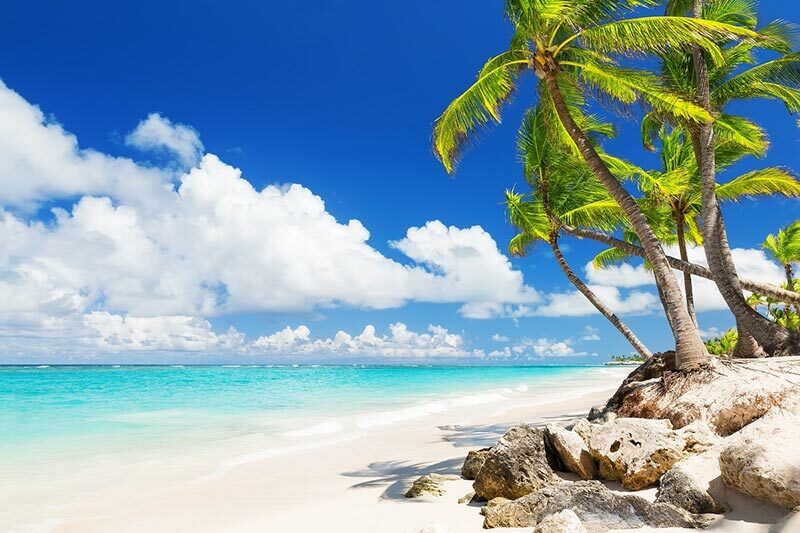 To most The Caribbean conjures images of pristine white beaches, palm tree lined and perfect for lazing or strolling on. To others, it is a melting pot of cultures, history, and cuisine, and to some it’s a rainforest or coral reef adventure holiday extravaganza! Regardless of what you are looking for, your slice of paradise is only a short way away. To ensure your holiday starts in style, and you arrive relaxed and ready, there is no better way to begin your trip than on first or business class flights to The Caribbean. 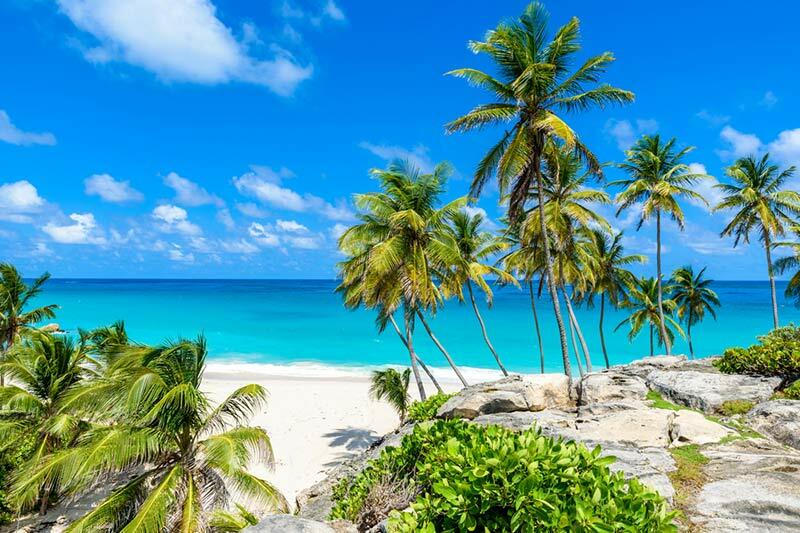 With sparkling blue waters and sun-bleached beaches, The Caribbean has long been at the forefront of beach holiday destinations for a lot of UK travellers. 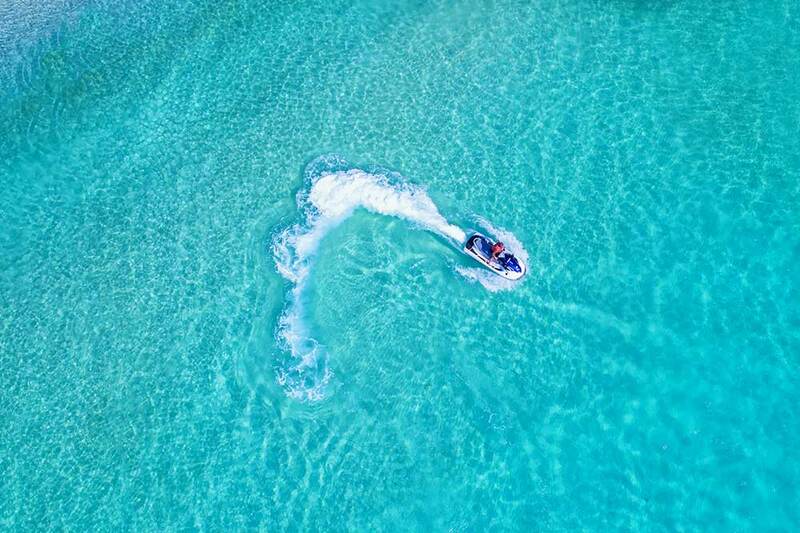 The area draws lovers of water easily, whether for water sports such as sailing and jet skiing, diving its infamous reefs, or simply enjoying the sunsets. The beach is not the only draw of The Caribbean, with a rich and vibrant culture that varies from island to island. With captivating scenery providing everything from outstanding historical architecture to volcanic peaks and rainforests, our specialists will find you the cheapest business class flights to The Caribbean so that the journey is just as enjoyable as the destination. Stretching over 1.06 million square miles, and consisting of 30 sovereign states and dependent territories, The Caribbean is a diverse and fascinating blend of history, culture, and sights. Below, we’ve laid out a general guide to the different regions of The Caribbean to help you decide which suits you the best. The most visited region in The Caribbean, and taking the largest portion of land mass, the Greater Antilles also contain some of the most historical and cultural countries. Consisting of Cuba, Haiti, Dominican Republic, Puerto Rico, Jamaica, and the Cayman Islands, it encompasses some of the richest and the least developed countries. Jamaica is synonymous with The Caribbean, with beautiful vistas from many resorts on the shores of the island from Montego Bay and Ocho Rios in the north to Negril in the west. 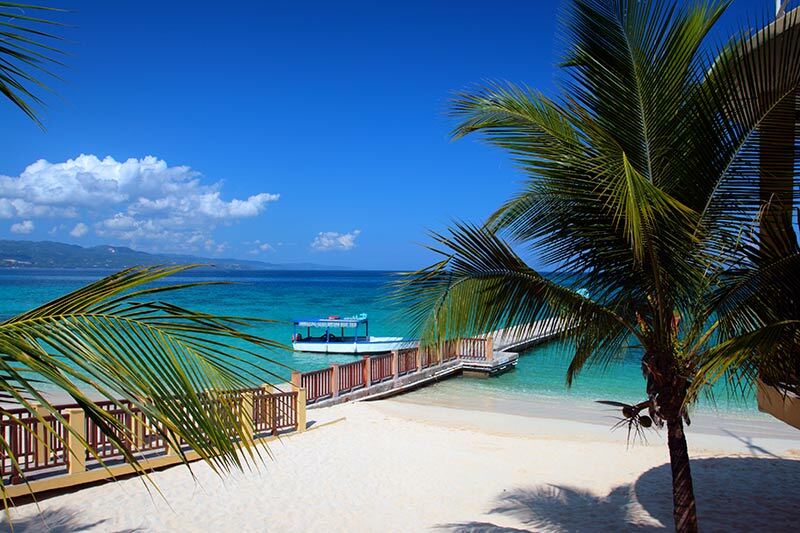 Coupled with the care-free atmosphere of the locals and the background music of reggae floating on the breeze, Jamaica is a fantastic introduction to island life! 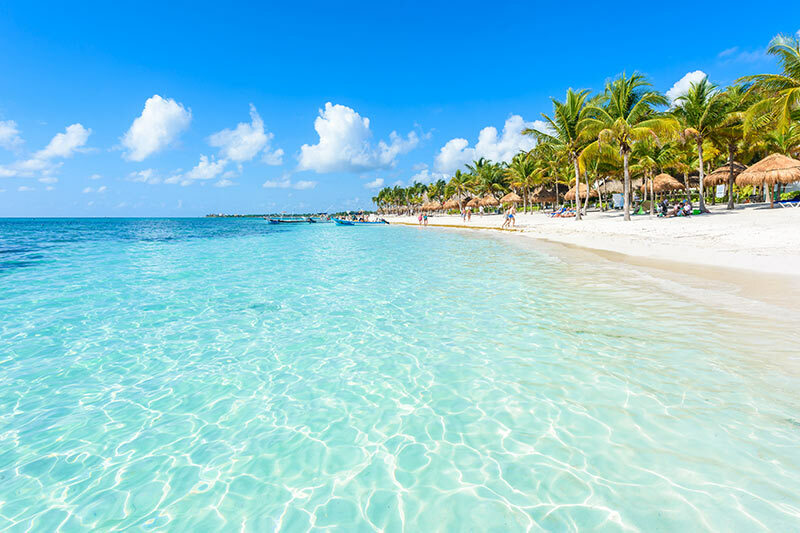 If a more standard beach-style holiday is preferred, Dominican Republic has a wide range of resorts, mainly around the city of Punta Cana, including luxury properties with spectacular beachfront locations, while still offering visitors cultural insights and natural splendour inland. Those looking for a unique experience coupled with a beach destination are hard pressed to go past Cuba, with Havana’s historic buildings, cars, and lively music, Vinales’ natural beauty, and Varadero’s beaches making for a well-rounded experience. Creating the boundary between the Caribbean Sea and the North Atlantic Ocean, this collection of islands runs from the northern part of the West Indies to the coast of South America, and are divided into 3 sub-regions. The Leeward Islands form the northern end of the island chain, from the British Virgin Islands to Guadeloupe. This collection of islands consist of both sovereign nations, such as Antigua and Barbuda and St Kitts & Nevis, as well as several dependent territories belonging to The UK, France, The Netherlands, and The USA. Due to the history of these territories, languages will often vary between islands making each distinct. Antigua is the most popular of the Leeward Islands with luxury resorts dotting the sheltered western coastline. Sailing regattas and fishing tours are a highlight amongst the water-based attractions, while the island also produces rum in abundance. Also famous for their unique (and somewhat terrifying) airports are St Barthelemy and Sint Maarten / Saint Martin, where landing and taking off are part of the adventure! The southern end of the island chain, known as the Windward Islands, cover from Dominica in the north to Trinidad & Tobago in the south, lying just a few miles off the coast of Venezuela. The islands come in varying degrees of terrain, from the volcanic mountains of St Lucia and St Vincent, to the rolling hills of Barbados, and most offer visitors ample opportunity for sunset walks along amazing coastline. Each of these islands offer something slightly different though, with Grenada known as the Spice Island for its crops and fine cuisine, Martinique containing rainforests and exotic scenery, and St Lucia offering land activities such as hiking the famous Gros Piton. Most famous of all, Barbados inspires images of palm tree beaches as the sun sets over the calm waters off the west coast. With perfect blue seas and a fantastic range of resorts to choose from, Barbados needs to be visited to be believed! Lying a short distance off the coast of Venezuela, the ABC Islands are possibly the least known of The Caribbean. The three islands providing the name for these Lesser Antilles are Aruba, Bonaire, and Curacao. 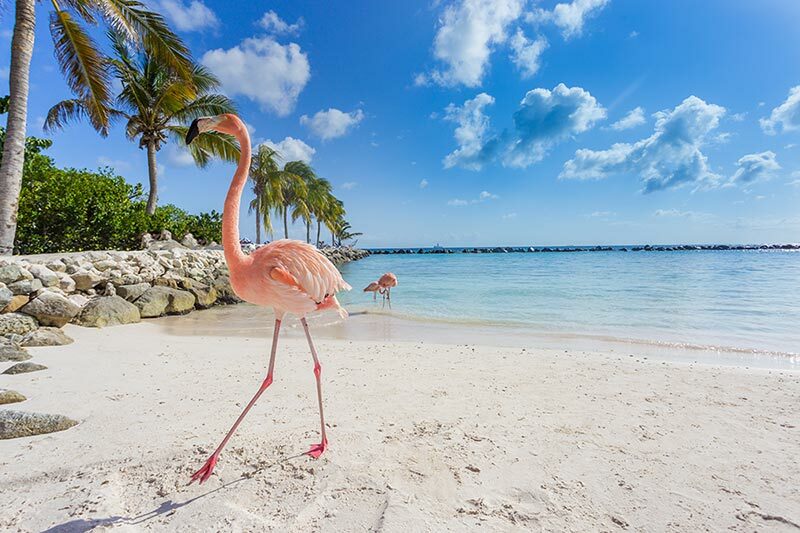 Aruba’s capital city, Oranjestad, is a colourful and vibrant experience with uncrowded beaches and friendly locals and a must when visiting Aruba is to head to Renaissance Island just off the coast to see wild flamingos walking along the beach and wading in the crystal clear waters. The closest region to The USA, the Lucayan Archipelago is made up of several islands belonging to The Bahamas and Turks & Caicos. A significant portion of the islands are in fact cays, coral reefs, and atolls, and the vast majority of them are uninhabited, though the ones that are, are colourful, vibrant, and energetic. The Bahamas make up more than 700 islands on its own, and since winning independence from The UK in 1973, have flourished mainly due to the tourism trade. The 2 main islands for tourists, New Providence and Grand Bahama, are relatively flat and easy to explore, with the former being famous for its resorts and the latter for its extensive underwater cave systems. The Bahamas are particularly good for families due to the facilities within the large resorts, as well as fantastic for diving enthusiasts. Other areas to enjoy the warm waters and sun-blessed beaches of the region, but not accurately included in The Caribbean, are the mainland destinations of Cancun, Riviera Maya, and Belize, where luxury holidays can be tailored to suit your needs with different board types, adults-only or family friendly options, and in varying degrees of activity and excitement. Likewise, Bermuda to the north of The Caribbean is also a great inclusion, and although the summer season doesn’t last as long as its southern neighbours, it still boasts a generous amount of sunshine and warm tropical temperatures for 6 months of the year. 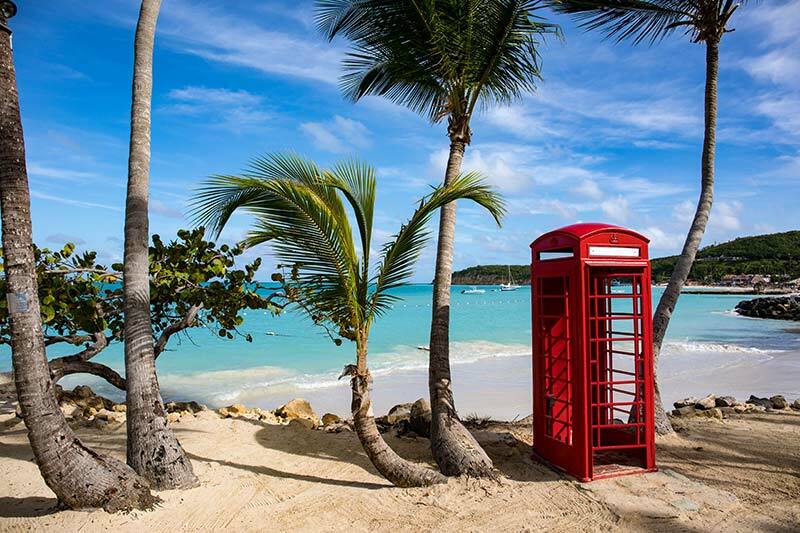 Flights to The Caribbean from The UK range between 8.5 hours for direct flights to Antigua, and over 15 hours for some of the smaller islands that require island hopping to reach. The last thing you need is to be arriving haggard before the holiday has even begun! With business and first class flights to The Caribbean, you won’t have to worry. The holiday begins before take off with priority check-in desks, lounge access, fast-track security, and priority boarding. But first class takes it a step further. Fancy a seared fillet of Herefordshire beef with truffle taglierini? Or maybe a wild mushroom consommé served with mushroom soufflé and snipped chives? Why not savour an exclusive selection of drinks with it? The choice really is yours! And once you disembark, your luggage is already there and waiting, separate from the rest of the passengers, so all you need to do is step out into the sunshine and enjoy. So treat yourself… get in touch and you’ll see why first and business class is the only way to begin your luxury Caribbean holiday! 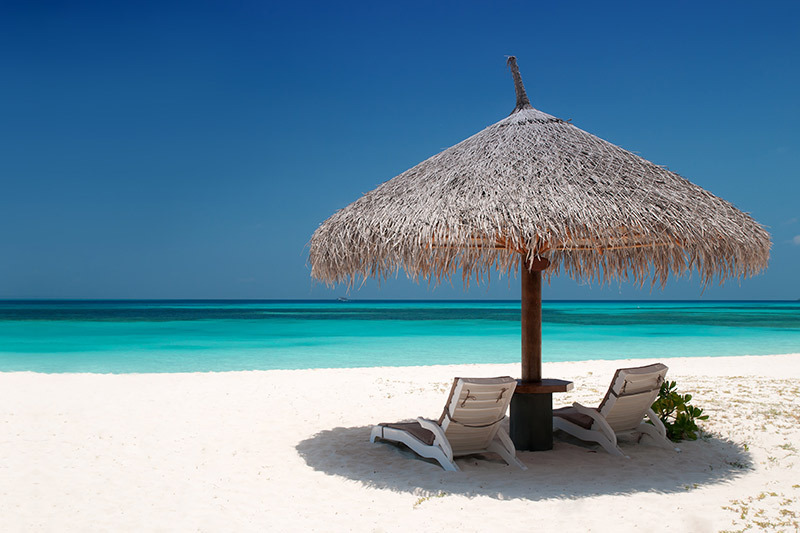 Whether travelling to The Caribbean for the first time, planning a special occasion such as a honeymoon or anniversary, or heading back to look for the next island to explore, contact our specialists on 020 8417 1366 for amazing deals on business class flights to The Caribbean and let Just Fly Business help plan your dream itinerary.